In 2008, a young Jordanian couple, decided it was time they brought the world’s best-loved kitchen appliance brand to their country, along with their love for food… Their partnership with KitchenAid brought to life their company, Adawat, with their passion for everything in the kitchen and began distributing its products, with great success, throughout the country. They found that there were many like-minded people in Jordan who were as equally passionate about the brand. Over the years, and with increasing demand for more of KitchenAid’s product offering, they found that Jordan’s kitchen-lovers deserved more from Adawat than what came in the box, from there, the KitchenAid Experience store came to life. On March 1st 2012, the KitchenAid Experience Store opened its doors to the public and snow! On that day, Jordan proved its thirst for the brand as the store filled-up with food lovers, despite the cold weather, over steaming mugs of hot cocoa, fresh pasta and the smell of fresh cookies and bread baking in the oven, people saw and tried first-hand the kitchen companions they would chose before taking them home. As a first in Jordan, and in the Middle East, the store proved a great success, with a pantry, fridge and freezer stocked with everyday staples; all you have to do is try your hand at a fresh smoothie and you’ll fall in love with a blender instantly! The all-welcoming staff helps you select the machine you need and give you tips and tricks on how to get the best out of it; once you walk out the door you’ll be eager to try new recipes and get creative, as beautiful as it looks, it is surely not a household item that will be perched on a shelf collecting dust. The store also offers classes to its customers such as cookie baking and decorating, pasta making, ice cream basics and many more, a little chef’s corner for kids to keep your little ones busy while you shop, and a free delivery service for new purchases as well as a free pick-up and drop-off for after-sales maintenance requests. The aftersales service manager at KitchenAid Jordan shares a story of a middle-aged lady who brought-in an old KitchenAid Artisan Stand mixer for a repair; the mixer was in excellent condition but the lady was so reluctant to leave it because she said she felt her late mother was with her in the kitchen whenever she used it, she seemed very emotional and then shared that this was the first time the mixer needed a repair since her parents had bought it in the late ‘70s. After looking up the serial number, he discovered that the mixer was a model from 1978 and it only required a minor touch of grease and was still as good as new; a true testament to the superior quality and timelessness of the product, being passed down through generations. The company truly believes that in order to do better, one must do good. In an initiative to give back to the community it launched a Facebook page called “Bake a Difference” teaching young adults from high schools in Amman basic baking skills and community service by holding a bake sale in their community and donating all the proceeds to a selected local child-related charity, its first activity being a very successful bake sale in partnership with the women behind Tobacco Free Jordan, funded signs for smoke free children’s areas in public parks. Since its founding the company has supported many organizations in events such as the Harley Davidson Breast Cancer Awareness Day, Smoke Free Jordan’s Tobacco Free Day Celebration raising awareness among children, and Jamie Oliver’s Food Revolution Day where the Experience Store hosted kids making Chef Jamie Oliver’s healthy smoothie recipes, teaching them about food; the picture of the event was re-Tweeted by Jamie Oliver’s Food Revolution handle @FoodRev which currently has over 99,000 followers. 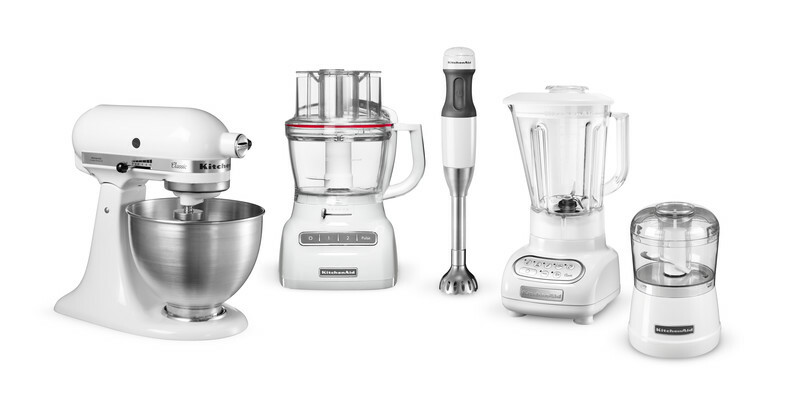 This year is a very big year for the KitchenAid experience store with many exciting new things in store for kitchen and food-lovers! 2015 will see the growth of the product line adding much awaited products such as filter coffee machines, juicers, new attachments and the addition of the brand new line of KitchenAid bakeware, cookware and tools.